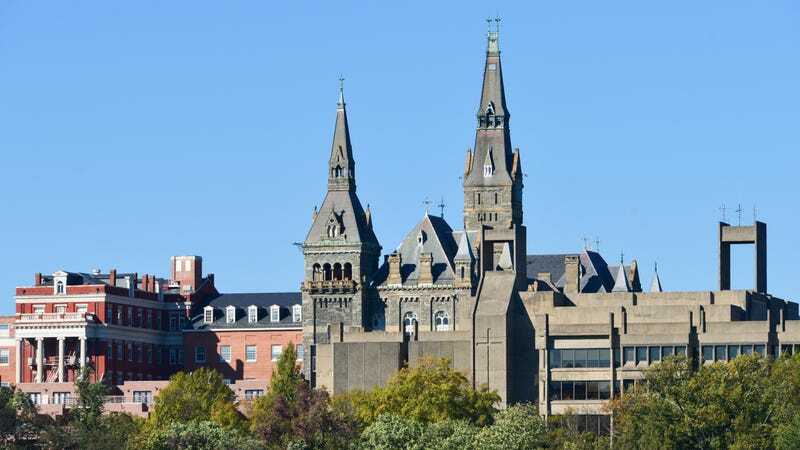 What Should Georgetown University Do About Its Slaveholding Past? In its early days, the school that would become Georgetown University was funded in part by plantations, and the institution might not even exist today if it weren’t for 272 slaves who were sold to pay off its debts. University president Father Thomas F. Mulledy “promised his superiors that the slaves would continue to practice their religion. Families would not be separated. And the money raised by the sale would not be used to pay off debt or for operating expenses,” the Times explains. None of that turned out to be true. In addition to Rothman’s group, tech CEO and alum Richard J. Cellini has founded the nonprofit Georgetown Memory Project in an attempt to trace what happened to those 272 individuals after the sale, as well as to find their descendants. Genealogists have been able to follow the life of one 13-year-old boy, Cornelius Hawkins. He appears in a plantation inventory in 1851, then as a free man in the 1870 census. Because he remained an observant Catholic, researchers were able to follow the trail of records to 69-year-old Maxine Crump. The question is, where does the university go from here? What does it do with this sort of information? Georgetown has already agreed to take the names of Mulledy and another president involved, the Rev. William McSherry, off campus buildings. Rothman’s working group “has been weighing whether the university should apologize for profiting from slave labor, create a memorial to those enslaved and provide scholarships for their descendants, among other possibilities,” according to the Times. She does not put much stock in what she describes as “casual institutional apologies.” But she would like to see a scholarship program that would bring the slaves’ descendants to Georgetown as students. That seems like the very least Georgetown—which, as of June 30, 2015, had an endowment of around $1.5 billion—could do.